1. A reproduced vintage mineral poster (complete with everything you need to hang it) for the person who is truly your ~rock~. 2. A surprisingly inexpensive quartz watch to make any outfit look complete (and completely professional). 3. A six-pack of Popbar hot chocolate on a stick, the coziest way to kiss the traditional powdered stuff goodbye forever. Just heat up a mug of milk, pop one of these babies in, and stir until fully melted. Then simply enjoy the easiest, most gourmet hot chocolate ever! Get a pack of six from Amazon for $19.99. Available in two kinds of variety packs: milk chocolate, dark chocolate, and vanilla (two of each) ~or~ milk chocolate, dark chocolate, vanilla, caramel, peppermint, and mocha (one of each). Also available in smaller and larger size variety packs. 4. A gorgeous textured travel wallet that'll store their cash, boarding pass, passport, credit cards, and more — all while looking like a chic mini clutch. You can't afford the fancy vacation together yet, but this is the first step! 5. A jar of luxurious whipped body butter infused with mango butter, cocoa butter, and avocado oil and sculpted into a flower petal design. A little goes a long way, so the jar will last quite a long time! Get it from Tailored Soap on Etsy for $19.95+. Available in nine colors and scents. 6. 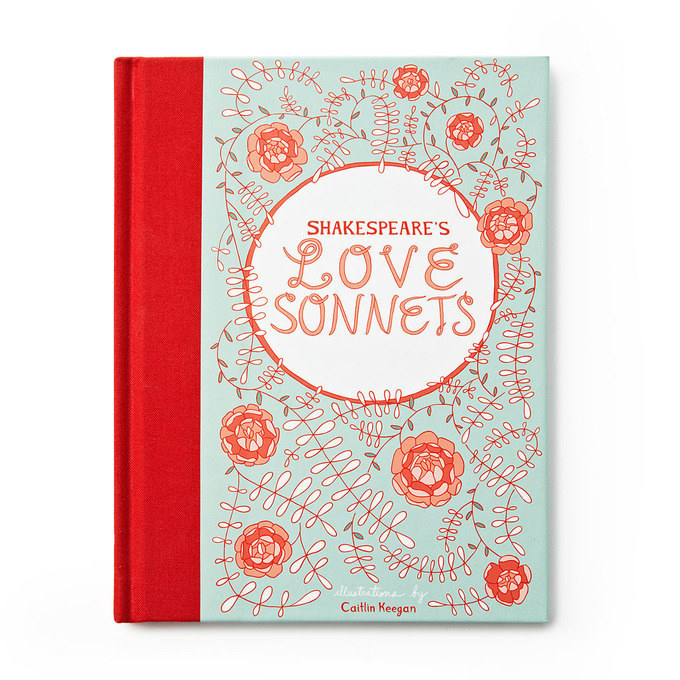 A beautifully illustrated edition of Shakespeare's love sonnets for a gift that's more lovely than a summer's day. 7. An almost-too-cute-to-use heart-shaped lipstick with a duo core (darker inside, lighter outside) for a natural flush you can build up for a bolder color. Get it from Free People for $14 (available in red and pink). 8. A pair of metallic-accent headphones that'll say "I love you so much, I'm ok with you not listening to me." Get them from Amazon for $14.98 (available in five colors). Promising review: "This is my second pair of these, I loved the first pair to death! Used them daily for general music listening and also while working out. Stayed in place while running and jumping around. The cord is nice and long and I never had issues when I used it with my phone while working out. They held up to sweat and mild condensation. Noise cancellation was great. Like that they can fold up for throwing in my gym bag or carry-on while flying." —Kasha L.
9. A gorgeous Milani eyeshadow palette packed with 12 buttery shimmer, glitter, and matte shades for Naked palette looks at a fraction of the price. I have this palette and use it alllll the time — the shadows apply so easily, with minimal fallout! Get it (exclusively!) from Walmart for $14.97 (available in three other color palettes). 10. A cheese board and serving platter perfectly sized for entertaining — or just a cozy date night in for two. You'll ~brie~ so happy you bought it! Get it from Amazon for $21.97. 11. A Game of Thrones bottle opener shaped like the emblem of the Hand of the Queen, meaning it's the perfect gift for anyone who lives by the quote "I drink and I know things." 12. A pair of truly ~stellar~ ear climbers made of white gold–plated copper and sparkling cubic zirconia — they'll think you bought them at a fancy local boutique. Bonus: they come in a gift box so you really don't have to think hard about how to wrap 'em. Get them from Amazon for $18.89. 13. Personalized cufflinks to help your significant other always give a great ~initial~ first impression. Get them from Amazon for $8.99. Also available in silver tone. 14. A glitter-filled picture frame shaped like a rose quartz crystal for the person whose ~intentions~ are to gaze adoringly at the photo of the two of you sitting on their desk. Get it from Urban Outfitters for $5 (originally $8; also available in purple). 15. A gold-trimmed box of Earl Grey that'll make you feel like you're having high tea at Buckingham Palace. Great for when you guys are catching up on the most recent season of The Crown. Get a box of 20 sachets from Amazon for $6.64. Check out all the available blends. 16. A gold-dipped geode succulent planter for those who have never gotten over those pun-filled elementary school valentines. This is the grown-up version of that. Bonus if you awkwardly shout "YOU ROCK!" when you hand it over and then run away to re-enact the encounter with your closest friends. 17. A dainty gold-plated necklace with rhinestones in the shape of their zodiac sign's constellation, perfect for the person who looked up your compatibility before agreeing to date you. 18. An electric chocolate fondue melter with two heat settings, a spatula, 10 skewers, and 10 forks. Basically it's everything you never knew you needed. 19. A stoneware cactus vase for that special someone you'd prick every time. Uh, I mean PICK every time. Get the one on the left from Amazon for $17.82 (vase on the right is currently unavailable). 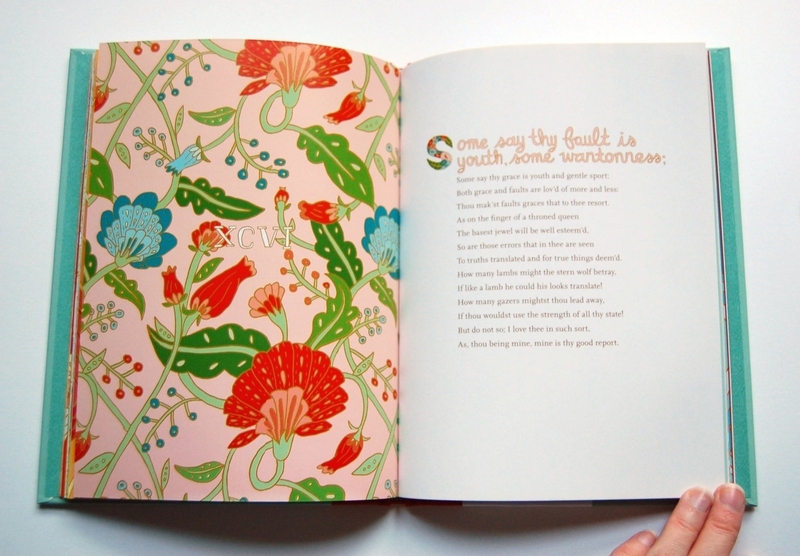 Promising review: "Super super cute!! I fell in love the min I looked at this vase and it’s even more beautiful in person. It’s a must have!!" —Aarti K.
20. 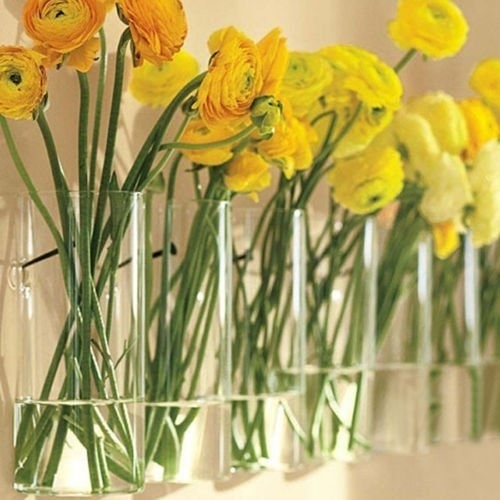 Or a four-pack of hanging vases to turn the cheapest bouquet into gorgeous wall art. 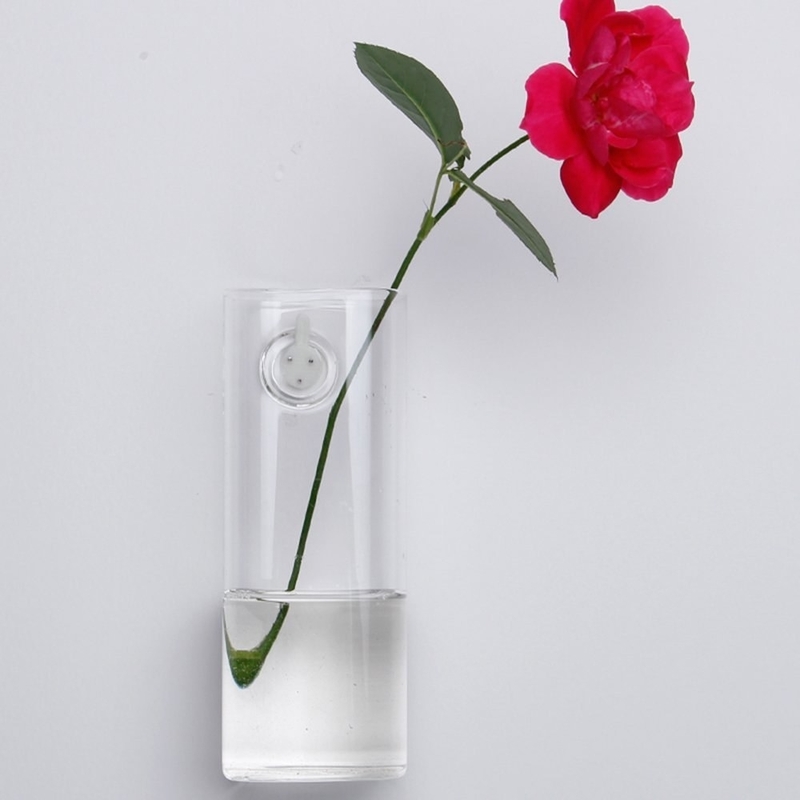 They're made of sturdy borosilicate glass and hang right on the wall — they have a hole in the pack perfect for perching right on a nail. 21. A dozen moisturizing, all-natural bath bombs that'll be *almost* as good as a whole weekend at the spa — but infinitely cheaper. Each bomb has a different scent, but they're all made with grapeseed oil, coconut oil and vitamin E! Promising review: "My new holy grail bath product! I used to be an avid LUSH fan, but I'll never buy another of their bath bombs after trying these! They're about half the size of a typical LUSH bomb, but 100x more moisturizing. They also leave your skin lightly scented, which I love. They are packed full of color, but left zero residue in my tub — I just did a quick rinse with water after it drained. These also come beautifully packaged. They'd make a perfect gift." —Jason C.
22. 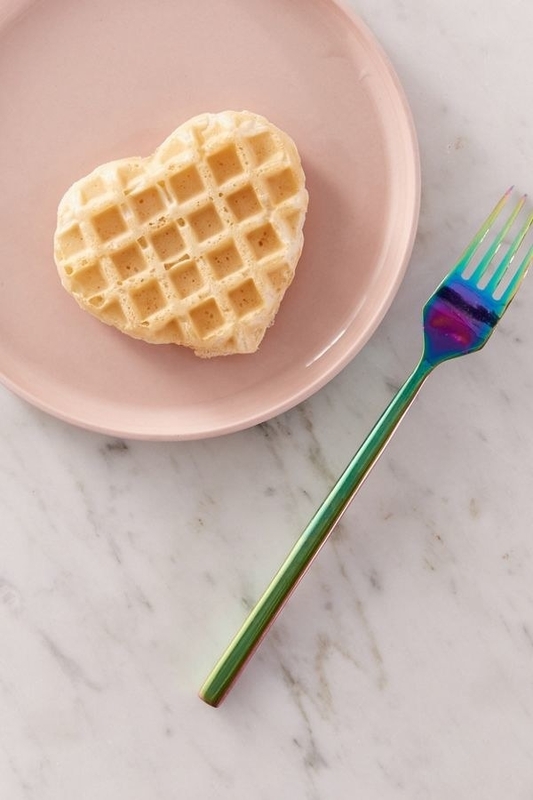 A heart-shaped waffle maker to add an extra touch of romance to breakfast in bed — or give you a reason to save money by not going out to brunch. Not into hearts? 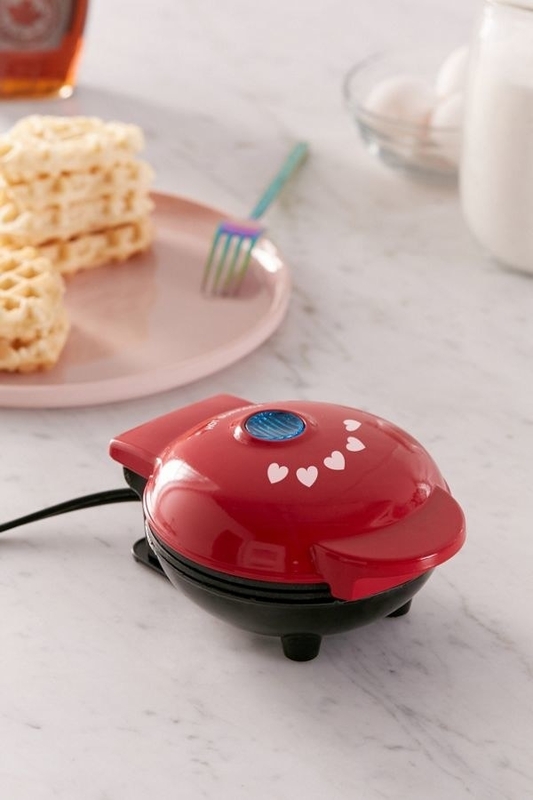 You can get a regular round mini waffle maker from the same brand from Amazon for $14.99 (available in nine colors). 23. A made-in-Italy, seven-piece decanter set that'll look like an antique you inherited from your grandparents. 24. A set of golden measuring cups and spoons to encourage your flat lay–loving boo to bake more often. Plus, the measurements are stamped right on the bottom, making them super easy to read! Get the eight-piece set from Amazon for $26.55. 25. And a cookbook chock-full of recipes (for both food AND cocktails) you can make together. It's like giving the gift of quality time — and you know you'll have to do some ~spooning~ after. 26. A dainty, 14k gold-fill pendant for anyone with an (anatomically correct) heart of gold. Get it from CY Design Studio on Etsy for $24.99. 27. An eyelash lace and velvet lingerie set so gorgeous, it's almost rude to wear clothes on top of it. Get the set from Amazon for $12.88+ (available in sizes S–L and 27 colors and lingerie cuts and styles). 28. A travel-themed mason jar bank, because instead of spending money on pricey gifts, you both should save your extra coinage for a trip together. 29. A set of eight faceted chilling rocks for the booze (or coffee, or tea, or whatever) aficionado whose arch-nemesis is diluted, watery drinks. Get a set of eight (plus silicone-tipped tongs and a storage box) from Amazon for $29.95. 30. A strand of string lights where the lights are — wait for it — champagne bottles! Talk about adding a ~pop~ of fun to your shared living space, right? Get a pack from Amazon for 16.10. 31. Touch screen leather gloves so beautiful, your S.O. will immediately break into a (gloved) round of applause. Aaaand they're lined with a cashmere blend to stay toasty warm for the (long) rest of winter. Holding hands in coordinating colorful gloves? Be still my heart. 32. A deck of 24k gold foil playing cards to make game night at home seem like a classy affair. You've probably seen those ~real gold~ playing cards with 100 dollar bills printed on the back, but these with the metallic plain design are WAY more elegant. 33. And a set of shatterproof champagne flutes for the couple who brings the bubbly wherever they go. Get a set of eight from Amazon for $25.90. Promising review: "I bought both the wine glasses and champagne flutes. Was worried they would look cheap and ugly.....they didn't! Friends are shocked they're not glass. Lightweight, perfect for our boozy concert picnics in DC, where no one wants to give up form for function. Don't wash in dishwasher and they'll last a long, long time I think. Just bought two sets (wine and champagne) for two friends and I'm positive they'll love them as much as I do." —A.D. Inexpensive gifts = more money you two can spend on a bottle of bubbly!